Recent Arrival! **Heated Seats**, **Bluetooth**, **Satellite Radio**, **Alloy Wheels**, **Clean One-Owner Carfax**, Jetta 1.8T SE, 5-Speed Manual, Tornado Red, Titan Black w/Cloth Seat Trim. Tornado Red 2015 Volkswagen Jetta 1.8T SE 1.8L I4 DOHC Turbocharged 5-Speed Manual FWD 25/37 City/Highway MPG Plus, with #1 Cochran's Market Based Pricing you can feel confident that you are receiving the Best Price and Value available to You! #1 Cochran has been providing the Tri-State area with excellent sales and service experiences for 50 Years. STOP! Buy Today! Let YOUR #1 Cochran experience begin! Recent Arrival! VW CERTIFIED PRE-OWNED WARRANTY / CPO, **Heated Seats**, **Bluetooth**, **Alloy Wheels**, **Backup Camera**, **Clean One-Owner Carfax**, **Push-Button Start**, Titan Black w/Cloth Seat Trim. Pure White 2016 Volkswagen Jetta 1.4T SE I4 6-Speed Automatic with Tiptronic FWD 28/39 City/Highway MPG Plus, with #1 Cochran's Market Based Pricing you can feel confident that you are receiving the Best Price and Value available to You! #1 Cochran has been providing the Tri-State area with excellent sales and service experiences for 50 Years. STOP! Buy Today! Let YOUR #1 Cochran experience begin! Recent Arrival! **Bluetooth**, **Alloy Wheels**, **Backup Camera**, **Clean One-Owner Carfax**, Palladium Gray & Black w/Cloth Seat Trim. Platinum Gray Metallic 2018 Volkswagen Jetta 1.4T S 1.4L TSI 6-Speed Automatic with Tiptronic FWD Odometer is 8626 miles below market average! 28/38 City/Highway MPG Plus, with #1 Cochran's Market Based Pricing you can feel confident that you are receiving the Best Price and Value available to You! #1 Cochran has been providing the Tri-State area with excellent sales and service experiences for 50 Years. STOP! Buy Today! Let YOUR #1 Cochran experience begin! Recent Arrival! VW CERTIFIED PRE-OWNED WARRANTY / CPO, **Bluetooth**, **Alloy Wheels**, **Backup Camera**, **Clean One-Owner Carfax**, AWD, ABS brakes, Compass, Electronic Stability Control, Heated door mirrors, Illuminated entry, Low tire pressure warning, Power steering, Power windows, Remote keyless entry, Traction control. Pure White 2017 Volkswagen Tiguan Limited 2.0T 4Motion 2.0L TSI DOHC 6-Speed Automatic with Tiptronic AWD Plus, with #1 Cochran's Market Based Pricing you can feel confident that you are receiving the Best Price and Value available to You! #1 Cochran has been providing the Tri-State area with excellent sales and service experiences for 50 Years. STOP! Buy Today! Let YOUR #1 Cochran experience begin! Recent Arrival! **Leather**, **Sunroof**, **Heated Seats**, **Bluetooth**, **Satellite Radio**, **Backup Camera**, **Clean One-Owner Carfax**, **Blind Spot Warning**, **Forward Collision Warning**, **Dual Zone Climate**, **Keyless Entry**, **Push-Button Start**, Passat 2.0T SE, 6-Speed Automatic with Tiptronic, Platinum Gray Metallic, Titan Black. Platinum Gray Metallic 2018 Volkswagen Passat 2.0T SE 2.0L TSI 6-Speed Automatic with Tiptronic FWD 25/36 City/Highway MPG Plus, with #1 Cochran's Market Based Pricing you can feel confident that you are receiving the Best Price and Value available to You! 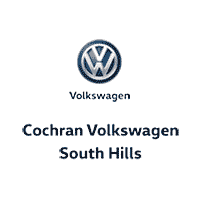 #1 Cochran has been providing the Tri-State area with excellent sales and service experiences for 50 Years. STOP! Buy Today! Let YOUR #1 Cochran experience begin! Recent Arrival! **Heated Seats**, **Bluetooth**, **Alloy Wheels**, **Clean One-Owner Carfax**, Denim exclusive convertible roof in dark blue, Denim exclusive stitching on steering wheel, Denim exclusive "blue brushed" dash pad, Two-tone cloth and Leatherette seating surfaces with jeans-inspired stitching and trim, 2D Convertible, 6-Speed Automatic, Stonewashed Blue, Dark Blue/Denim w/White Piping w/Denim Edition 2-Tone Cloth & Leatherette Seat Covers, ABS brakes, Electronic Stability Control, Heated door mirrors, Heated Front Comfort Seats, Heated front seats, Illuminated entry, Low tire pressure warning, Remote keyless entry, Traction control. Stonewashed Blue 2016 Volkswagen Beetle 1.8T S DENIM I4 6-Speed Automatic FWD 25/34 City/Highway MPG Plus, with #1 Cochran's Market Based Pricing you can feel confident that you are receiving the Best Price and Value available to You! #1 Cochran has been providing the Tri-State area with excellent sales and service experiences for 50 Years. STOP! Buy Today! Let YOUR #1 Cochran experience begin! Recent Arrival! VW CERTIFIED PRE-OWNED WARRANTY / CPO, **Leather**, **Sunroof**, **Heated Seats**, **Bluetooth**, **Satellite Radio**, **Alloy Wheels**, **Backup Camera**, **Clean One-Owner Carfax**, **Blind Spot Warning**, **Forward Collision Warning**, **Dual Zone Climate**, **Keyless Entry**, **Push-Button Start**, Beats Premium Audio, Volkswagen Digital Cockpit, Driving Mode Selection, Lane Keeping System, Adaptive Cruise Control, Jetta SEL, 8-Speed Automatic with Tiptronic, Platinum Gray Metallic, Titan Black w/Perforated V-Tex Leatherette Seat Trim. Platinum Gray Metallic 2019 Volkswagen Jetta SEL 1.4L TSI 8-Speed Automatic with Tiptronic FWD 30/40 City/Highway MPG Plus, with #1 Cochran's Market Based Pricing you can feel confident that you are receiving the Best Price and Value available to You! #1 Cochran has been providing the Tri-State area with excellent sales and service experiences for 50 Years. STOP! Buy Today! Let YOUR #1 Cochran experience begin! Recent Arrival! VW CERTIFIED PRE-OWNED WARRANTY / CPO, **Navigation**, **Leather**, **Sunroof**, **Heated Seats**, **Bluetooth**, **Satellite Radio**, **Alloy Wheels**, **Backup Camera**, **Clean One-Owner Carfax**, **Blind Spot Warning**, **Forward Collision Warning**, **Dual Zone Climate**, **Keyless Entry**, **Push-Button Start**, Ventilated Seats, 10-Color AMbient Lighting, Auto-dimming rearview mirror, High Beam Control (Light Assist), Adaptive Cruise Control, App-Connect, Beats Premium Audio, Lane Keep Assist, Volkswagen Digital Cockpit, Titan Black w/Perforated Leather Seat Trim. Platinum Gray Metallic 2019 Volkswagen Jetta SEL Premium 1.4L TSI 8-Speed Automatic with Tiptronic FWD 30/40 City/Highway MPG Plus, with #1 Cochran's Market Based Pricing you can feel confident that you are receiving the Best Price and Value available to You! #1 Cochran has been providing the Tri-State area with excellent sales and service experiences for 50 Years. STOP! Buy Today! Let YOUR #1 Cochran experience begin! Recent Arrival! **Leather**, **Sunroof**, **Heated Seats**, **Bluetooth**, **Satellite Radio**, **Alloy Wheels**, **Backup Camera**, **Clean One-Owner Carfax**, **Blind Spot Warning**, **Forward Collision Warning**, **Dual Zone Climate**, **Keyless Entry**, **Push-Button Start**, Titan Black/Moonrock Gray. Platinum Gray Metallic w/Black Roof 2018 Volkswagen Passat 3.6L V6 GT 3.6L VR6 280 hp 6-Speed DSG Automatic with Tiptronic FWD 19/28 City/Highway MPG Plus, with #1 Cochran's Market Based Pricing you can feel confident that you are receiving the Best Price and Value available to You! #1 Cochran has been providing the Tri-State area with excellent sales and service experiences for 50 Years. STOP! Buy Today! Let YOUR #1 Cochran experience begin! Recent Arrival! VW CERTIFIED PRE-OWNED WARRANTY / CPO, **Leather**, **Sunroof**, **Heated Seats**, **Bluetooth**, **Satellite Radio**, **Alloy Wheels**, **Backup Camera**, **Clean One-Owner Carfax**, **Forward Collision Warning**, **Keyless Entry**, **Push-Button Start**, ALL WHEEL DRIVE / AWD ~, 6-Speed DSG Automatic with Tiptronic, AWD, Great Falls Green Metallic. Great Falls Green Metallic 2018 Volkswagen Golf Alltrack TSI SE 4Motion 1.8L I4 Turbocharged DOHC 16V SULEV II 170hp 6-Speed DSG Automatic with Tiptronic AWD 22/30 City/Highway MPG Plus, with #1 Cochran's Market Based Pricing you can feel confident that you are receiving the Best Price and Value available to You! #1 Cochran has been providing the Tri-State area with excellent sales and service experiences for 50 Years. STOP! Buy Today! Let YOUR #1 Cochran experience begin!